WHUK: What does Horsemanship mean to you? The word horsemanship is used a lot, to me horsemanship is using communication, understanding and psychology. If you aren’t communicating on that level, then you may be using mechanical devices, fear, or hope and a prayer! WHUK: Is horsemanship compatible with competitive riding? Horsemanship is foundational training, training to compete is a specialisation, you take the foundation with you into the specialisation. If a horse doesn’t know how to be a partner, then he is prey animal. If you don’t develop a partnership and focus instead on competition training the result is obedience and resentment, this may lead to the horse becoming over-trained and robotic; you lose bonding and the exuberance of the horse. There are lots of great examples that you can look to where Natural Horsemanship and competitive riding have great results. 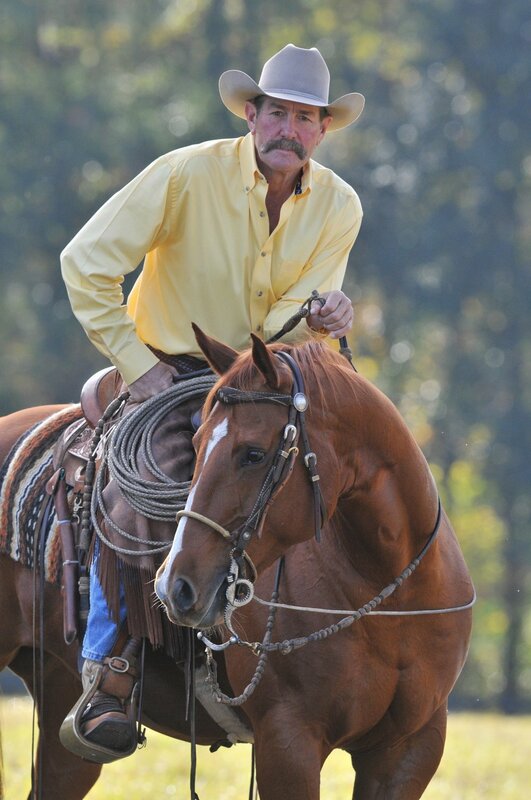 WHUK: What type of person benefits from Natural Horsemanship? Natural Horsemanship is for everyone. I think about the people that use natural horsemanship in terms of personas and sub-personas. Personas: English, western, speed events, leisure, gaited, Trick/liberty training and driving. The sub-personas: human behaviour problems, confidence, recreation-ally competitive, highly competitive, professionally competitive. Natural horsemanship is about understanding horse psychology, developing this will increase understanding and trust. Natural Horsemanship teaches people to train their own horse in an ethical, effective and safe way. We have developed a movement to help people find the resources they need, whatever persona they are, and to bring like-minded horseman together. WHUK: What would you say to those practising positive reinforcement who say that pressure release methods are old fashioned? I teach people to use communication and psychology to help them have a partnership with their horses so that they can succeed in a meaningful way for them whether they are a leisure rider, recreation-ally competitive through to professionally competitive. These methods have been successful for over 25 years. WHUK: After 35 years of teaching natural horsemanship, what motivates you to keep travelling the world to share your methods? I am a learn-a-holic and share-a-holic, I get so much from sharing and the more people I meet, the more I learn and want to share. WHUK: What does it mean to be Savvy? The secret to life is to be pleased but never satisfied, sadly some people are neither. Becoming a horseman has real satisfaction. Being a good horseman is for life and makes you a better person. Taking the time to write these down helps people to step back and think about why they have horses and how they want to partner with them. WHUK: Can you explain horseanality and whys it's important? Then they are either an introvert or extrovert and left brain or right brain. If these can be correctly identified in a horse, then you can devise the right strategy for working with that horse. Generally, the extroverted horse is a horse who wants to move his feet, whereas the introverted horse would rather move its mind and emotions. Right-brained horses require you to earn their trust in yourself and your leadership, whereas Left-brained horses are more apt to challenge your authority and leadership – they are dominant. If you think about Introvert, extrovert and Left Brain, Right Brain on a circle with traits from those at the extreme edges. Your job as a horseman is to “centre” a horse so that it, when fully developed, sits as close to the centre of the scale as possible – not overly Extrovert nor Introvert, and not overly instinctive but also not overly “thinking”. WHUK: When people start out with horses where do they typically go wrong? Light hands, strong legs and to of willpower! WHUK: Of all the disciplines that you could compete in, what attracts you to cutting? I am passionate about cutting, it’s the most dynamic horse sport there is. You are asking your horse to follow your suggestion and the cow to follow his. You ask the horse to do the work and hang on for the ride. WHUK: Which cutting horses are the stars in your barn? Playing Flashy by Playing Stylish. He has been in the top 16 in the world for two years. I'm breed agnostic; I have 17 different breeds of horse in my barn, and over my life, I have owned and trained everything from miniatures to drafts. I am also the founding president of the of the American Mule Foundation, in 1980 I had a mule called Thumper, she was third highest scoring out of over 300 reining horses, we also won 50 of 52 reining or reined cow horse classes. One of the interesting things I did around this time was to compete in a demonstration event called The Wild Bunch, at the 1978 National Reined Cow Horse Association Snaffle Bit Futurity in Reno, NV. The Wild Bunch was a fun class where contestants dressed up as different characters and did wild things. The advertised prize was a million dollars cash. I entered as the Clovis Mule Days Queen. Riding Thumper, I won the class and actually marked the third highest score of the entire show, even better than the horses in the Futurity and open bridle classes. The crowd went nuts. The Wild Bunch wasn't one of the NRCHA's sanctioned classes, but it was one of the Snaffle Bit Futurity show's favourite spectator classes at the time. Views expressed, training advice given and goods advertised are not necessarily the views of or endorsed by Western Horse UK or the editors. Content copyright of Western Horse UK.